Contact Us and a buyer will get in touch with you as soon as possible. Locals: Stop by and receive a written offer in 30 minutes or less. Our offers are good for 7 days or 300 miles, whichever comes first. Not close to Yark Buys Cars? We may be able to come to you. Call (419) 558-4221 to find out how. Vehicle not running? We make offers on all vehicles regardless of mechanical or physical condition. We may even tow your vehicle for free depending on its location. Our minimum offer is $200, guaranteed, call (419) 558-4221 for more information. STEP THREE: We pay you! Yark Buys Cars employees handle all BMV paperwork and in most cases you will receive a check the same day. Yark Buys Cars makes the car-selling and -buying process easy when you decide it’s time to trade in your current vehicle. At our car dealership in Toledo, OH, you can sell your vehicle in three easy steps. Whether you’re looking for some extra cash or want to trade in your vehicle for something new, you’ll find that the process is as easy as can be at Yark Buys Cars. You can get the process started online from the comfort of your own home, and if you have any questions one of our sales experts would be happy to speak with you. Fill out the Kelley Blue Book Instant Cash Offer form and tell us the specifics of your vehicle, including condition and other details. Bring your Kelley Blue Books’ KBB.com appraisal to our BuyCenter and a certified technician will inspect your vehicle for any issues. Once your vehicle passes its inspection we’ll cut you a check and handle the rest of the paperwork for you! That’s it – no delays and no overly complicated paperwork. 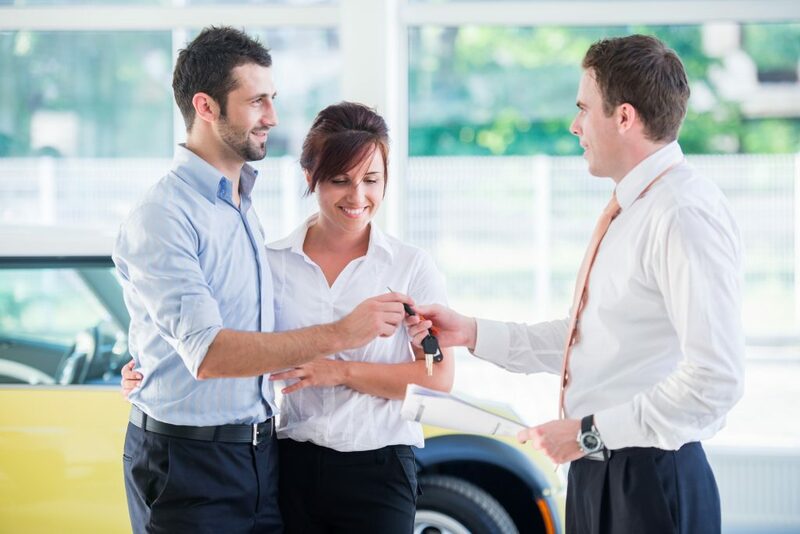 Once you’ve sold your car you can ask us about the new and used vehicles that the Yark Automotive Group has for sale, or head home with the check in hand. Get directions to Yark Buys Cars and visit us to sell your vehicle today!